The WeWood Ladies Moon Watch is made of 100% natural wood, saved from scraps from the flooring industry that would otherwise be destroyed. The watch features a wood case, bracelet, and dial. It's the perfect gift for someone who is environmentally conscious or who is allergic to other watch materials. 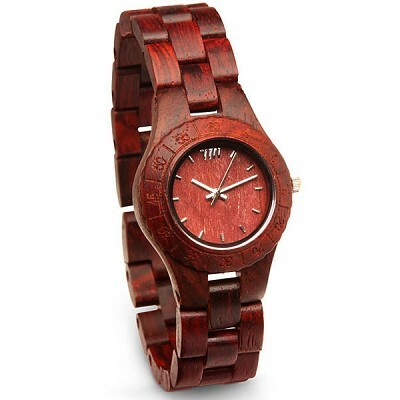 Best of all, WeWood plants a tree for each watch purchased. Dimensions: 7 3/4” (band), 1.25" (width of face).